Escape to Tasmania. The Bay of Fires Lodge Walk is a 4-day walking holiday along the East Coast of Tasmania. The guided trek along the unspoiled beaches and rocky headlands will lead you to spend the first night at the Forester Beach Camp in tent cabins set close to the beach. 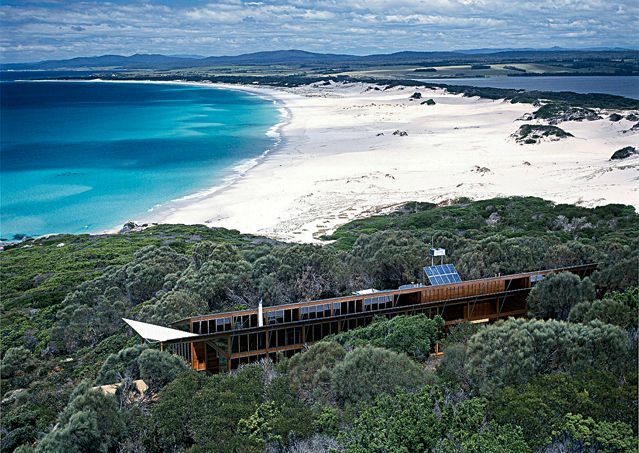 After another 9-14km hike, you’ll reach the award winning Bay of Fires Lodge for your next 2 nights stay. This eco-friendly, solar powered lodge offers a relaxing base to explore the area with kayaks, snorkel the marine nursery, or maybe see local wildlife like Forester kangaroos, wallabies or even a Tasmanian devil. All meals will be provided and include delicious, fresh local produce and wines.